A little-known tax benefit for new, qualified small businesses is the ability to apply a portion of their research credit – no more than $250,000 – to pay the employer’s share of their employees’ FICA withholding requirement (the 6.2% payroll tax). This can be quite a benefit, as in their early years, start-up companies generally do not have any taxable profits for the research credit to offset; quite often, it is in these early years when companies make expenditures that qualify for the research credit. This can substantially help these young companies’ cash flow. Research Credit – The research credit is equal to 20% of qualified research expenditures in excess of the established base amount. If using the simplified method, the research credit is equal to 14% of qualified research expenditures in excess of 50% of the company’s average research expenditures in the prior three years. Qualified Research – Research expenditures that qualify for the credit generally include spending on research that is undertaken for the purpose of discovering technological information. This information is intended to be useful in the development of a new or improved business component for the taxpayer relating to new or improved functionality, performance, reliability or quality. The entity does not have gross receipts in any year before the fourth preceding year. Thus, the payroll credit can only be taken in the first 5 years of the entity’s existence. However, this rule does not require a business to have been in existence for at least 5 years. The entity’s gross receipts for the year when the credit is elected must be less than $5 million. Any person (other than a corporation or partnership) is a QSB if that person meets the two requirements above after taking into account the person’s aggregate gross receipts received for all the person’s trades or businesses. Example – The taxpayer is a calendar-year individual with one business that operates as a sole proprietorship. The taxpayer had gross receipts of $4 million in 2016. For the years 2012, 2013, 2014 and 2015, the taxpayer had gross receipts of $1 million, $7 million, $4 million, and $3 million, respectively; the taxpayer did not have gross receipts for any taxable year prior to 2012. The taxpayer is a qualified small business for 2016 because he had less than $5 million in gross receipts for 2016 and did not have gross receipts before 2012 (the beginning of the 5-taxable-year period that ends in 2016). The taxpayer’s gross receipts in the years 2012-2015 are not relevant in determining whether he is a qualified small business in taxable year 2016. Because the taxpayer had gross receipts in 2012, the taxpayer will not be a qualified small business for 2017, regardless of his gross receipts in that year. The research credit must first be accrued back to the preceding year, where it must be used to offset any tax liability for that year. Then, the excess (up to $250,000 maximum) can be used to offset the 6.2% employer payroll tax. Any amount not used is carried forward to the next year.If you have questions related to the research credit or if your business could benefit from using the credit to offset payroll taxes, please give us a call. Gambling is a recreational activity for many taxpayers, and as one might expect, the government takes a cut if you win and won’t allow you to claim a loss in excess of your winnings. In fact, there are far more tax issues related to gambling than you might expect, and they may be impacting your taxes in more ways than you might believe. So here is a rundown on the many issues, which I like to call “gotchas,” that can affect you. Reporting Winnings – Taxpayers must report the full amount of their gambling winnings for the year as income on their 1040 return. Gambling income includes, but is not limited to, winnings from lotteries, raffles, lotto tickets and scratchers, horse and dog races, and casinos, as well as the fair market value of prizes such as cars, houses, trips, or other non-cash prizes. The full amount of the winnings must be reported, not the net after subtracting losses. The exception to the last statement is that the cost of the winning ticket or winning a spin on a slot machine is deductible from the gross winnings. For example, if you put $1 into a slot machine and win $500, you would include $499 as the amount of your gross winnings, even if you’d previously spent $50 feeding the machine. Frequently, taxpayers with winnings only expect to report those winnings included on Form W-2G. However, that form is only issued for “Certain Gambling Winnings,” but the tax code requires all winnings to be reported. All winnings from gambling activities must be included when computing the deductible gambling losses, which is generally always an issue in a gambling loss audit. GOTCHA #1 – Since you can’t net your winnings and losses, the full amount of your winnings ends up in your adjusted gross income (AGI). The AGI is used to limit other tax benefits as discussed later. So, the higher the AGI the more the tax benefits may be limited. Reporting Losses – A taxpayer may deduct gambling losses suffered in the tax year as a miscellaneous itemized deduction (not subject to the 2% of AGI limitation), but only to the extent of that year’s gambling gains. GOTCHA #2 – If you don’t itemize your deductions, you can’t deduct your losses. Thus, individuals taking the standard deduction will end up paying taxes on all of their winnings, even if they had a net loss. Social Security Income – For taxpayers receiving Social Security benefits, whether those benefits are taxable depends upon the taxpayer’s income (AGI) for the year. The taxation threshold for Social Security benefits is $32,000 for married taxpayers filing jointly, $0 for married taxpayers filing separately, and $25,000 for all other filing statuses. If the sum of AGI (before including any SS income), interest income from municipal bonds, and one-half the amount of SS benefits received for the year exceeds the threshold amount, then 50–85% of the SS benefits is taxable. GOTCHA #3 – So, if your gambling winnings push your AGI for the year over the threshold amount, your gambling winnings, even if you had a net loss, can cause some (up to 85%) of your Social Security benefits to be taxable. Health Insurance Subsidies – Under Obamacare, lower income individuals who purchase their health insurance from a government marketplace are given a subsidy in the form of a tax credit to help pay the cost of their health insurance. That tax credit is based upon the AGIs of all members of the family, and the higher the family income, the lower the subsidy becomes. GOTCHA #4 – Thus, the addition of gambling income to your family’s income can result in significant reductions in the insurance subsidy, requiring you to pay more for your family’s health insurance coverage for the year. Additionally, if your subsidy was based upon your estimated income for the year, if your premiums were reduced by applying the subsidy in advance, and if you subsequently had some gambling winnings, then you could get stuck with paying back some part of the subsidy when you file your return for the year. Medicare B & D Premiums – If you are covered by Medicare, the amount you are required to pay (generally withheld from your Social Security benefits) for Medicare B premiums is normally between $109 and $134 per month and is based on your AGI two years prior. However, if that AGI is above $85,000 ($170,000 for married taxpayers filing jointly), the monthly premiums can increase to as much $428.60. If you also have prescription drug coverage through Medicare Part D, and if your AGI exceeds the $85,000/$170,000 threshold, your monthly surcharge for Part D coverage will range from $13.30 to $76.20 (2017 rates). GOTCHA #5 – The addition of gambling winnings to your AGI can result in higher Medicare B & D premiums. GOTCHA #6 – Regardless of whether you are a winner or loser, if your online account was over $10,000, you will be required to file FinCEN Form 114 (Report of Foreign Bank and Financial Accounts), commonly referred to as the FBAR. For non-willful violations, civil penalties up to $10,000 may be imposed; the penalty for willful violations is the greater of $100,000 or 50% of the account’s balance at the time of the violation. Other Limitations – The forgoing are the most significant “gotchas.” There are numerous other tax rules that limit tax benefits based on AGI, as discussed in gotcha #1. These include medical deductions, miscellaneous itemized deductions, casualty losses, overall itemized deductions, exemptions, child and dependent care credits, the child tax credit, and the earned income tax credit, just to name a few. If you have questions related to gambling and taxes, please call us. Residence or Domicile – A military service member does not lose or acquire a residence or domicile for tax purposes due to being absent or present in any tax jurisdiction in the U.S. solely to comply with military orders. Thus, for example, a member of the military who is a resident of Texas and is assigned under military orders to a duty station in California continues to be treated as a Texas resident and is not subject to California state income tax. Another special rule exempts any personal service income of a military spouse from being taxed by any state other than the military spouse’s resident state. For the income to be exempt from the nonresident state’s taxes, the couple must have relocated to another state under military orders. They must also share the same “domicile” or true home outside the duty station state where they intend to return and relocate permanently. Moving Expenses – A member of the Armed Forces on active duty who is required to move because of a permanent change of station can deduct the reasonable unreimbursed expenses of moving themselves and members of their household. They are not subject to the 50-mile distance test or 39-week employment test that civilians are subject to for claiming a moving expense deduction. Reasonable expenses include shipping, a moving van, truck rental, travel expenses (not meals), packing, insurance and storage en route, moving pets, and utility connect/disconnect charges. Combat Pay Exclusion – If a member of the Armed Forces serves in a combat zone as an enlisted person or as a warrant officer for any part of a month, all of the military pay that he or she receives for military service that month is excluded from taxation. For officers, the monthly exclusion is capped at the highest enlisted pay plus any hostile fire or imminent danger pay received. Living Allowances – The basic housing allowance and both housing and cost-of-living allowances abroad, whether paid by the U.S. Government or by a foreign government, are excluded from taxation. Home Mortgage Interest and Taxes – A military taxpayer can deduct mortgage interest and real estate taxes on his or her tax return as an itemized deduction, even if they are paid with nontaxable military housing allowance pay. Home Sale Gain Exclusion – In order to claim the $250,000 ($500,000 for qualifying married taxpayers) home gain exclusion, taxpayers must generally own and use the home for 2 of the 5 years immediately prior to the home’s sale. A military taxpayer may choose to suspend the 5-year look-back period for up to 10 years when on qualified official extended duty. A military taxpayer who sells his or her primary residence and does not meet the 2- of-5-years ownership and use tests due to a move to a new permanent duty station may qualify for a reduced maximum exclusion amount. Reservist Travel Expenses – Armed Forces reservists who travel more than 100 miles away from home and stay overnight in connection with service as a member of a reserve component can deduct travel expenses as an adjustment to their gross income. This differs from the rules for other employees, who may only deduct job-related travel expenses as a miscellaneous itemized deduction (subject to the 2% of AGI limitation). Thus, this deduction can be taken even if the reservist does not itemize his or her deductions. Reservist Early Withdrawal Exception – Qualified reservists are permitted penalty-free withdrawal from IRAs, 401(k)s, and other arrangements if ordered or called to active duty for a period in excess of 179 days and if the distribution is taken during the active duty period. Extension of Deadlines – The time limit for taking care of certain tax matters can be postponed. The deadlines for filing tax returns, paying taxes, filing claims for refund, and taking other actions with the IRS are automatically extended for qualifying members of the military. Uniform Cost and Upkeep – If military regulations prohibit you from wearing certain uniforms when off duty, the costs and upkeep of those uniforms can be deducted, but the deductible expense must be reduced by any allowance or reimbursement that is received. Joint Returns – Generally, a joint return must be signed by both spouses. However, when one spouse may not be available due to military duty, a power of attorney may be used to file a joint return. Tax Forgiveness – When members of the military lose their life in a combat zone or as the result of a terrorist action, their income taxes are forgiven for the year of their death and for any prior year that ends on or after the first day of service in a combat zone. ROTC Students – Subsistence allowances paid to ROTC students participating in advanced training are not taxable. However, active duty pay – such as pay received during summer advanced camp – is taxable. Transitioning Back to Civilian Life – You may be able to deduct some costs that are incurred while looking for a new job. Such expenses may include travel, resume preparation fees, and outplacement agency fees. Moving expenses may be deductible if your move is closely related to starting work at a new job location and if you meet certain tests. If you or your spouse have questions about any of the above or questions related to your designated state of residence for state tax-filing purposes, please give us a call. Did You Have to Repay Part of Your Obamacare Subsidy and Don’t Know Why? As part of Obamacare, most everyone is required to be insured or pay a penalty. However, this created a substantial financial burden for lower-income families. To alleviate this situation, Obamacare included a subsidy, referred to as the premium tax credit (PTC), to help them pay the cost of the insurance. That credit is based on family size, household income, household income in relationship to the federal poverty line tables and the cost of the family’s insurance. The primary variable in determining the actual credit is the family’s household income, so the exact amount of the PTC cannot be determined until after the close of the tax year. Providing the credit after the fact on the tax return for the year does not help families to pay their premiums during the year, so to alleviate that problem, Obamacare allows families to estimate their family income when they apply for their insurance, and the government insurance marketplaces will estimate the PTC and allow it as a subsidy in advance. That subsidy is called the advance premium tax credit (APTC) and reduces the amount of the insurance premiums that the family must pay during the year. Then, when the tax return for the year is prepared, the actual household income is known, and the actual PTC to which the family is entitled is determined. If the PTC is greater than the APTC, then the difference is credited on the tax return. However, if the APTC – the subsidy paid in advance – is greater than the actual PTC the family is entitled to, then the difference must be repaid. So, if you had to repay some amount of the credit, it was generally due to your household income being underestimated when you signed up for the insurance, thus causing the APTC to be larger than the PTC. This is one of the hazards of estimating your household income in advance because you may receive unexpected income during the year, such as a raise, a bonus, a spouse starting to work, selling some stocks for a gain…the list goes on. There are other reasons for a mismatch between the APTC and PTC. For instance, if your employer offered you affordable, compliant insurance for any month during the year, then you were not eligible for the PTC that month. (The IRS knows when this occurred based on a report that employers have to file.) Other things that can change the PTC include changes in family size created by marriage, divorce, children getting married, deaths, etc. Another reason is when a married couple is receiving APTC from the marketplace and files married filing separate (MFS) returns instead of filing jointly. The MFS filing status does not allow them to claim the PTC. You can mitigate the repayments by keeping the insurance marketplace updated on your estimated family income and family size and allowing it to make appropriate adjustments to the APTC. If you have questions related to the premium tax credit or the repayments, please give us a call. https://tarlow.com/wp-content/uploads/2016/05/logo.png 0 0 Joanna Castle https://tarlow.com/wp-content/uploads/2016/05/logo.png Joanna Castle2017-08-29 17:08:482017-08-29 17:08:48Did You Have to Repay Part of Your Obamacare Subsidy and Don't Know Why? If you are fortunate enough to have a large estate – one large enough to be subject to the estate tax upon your death – you might be considering ways to give away some of your wealth to your family and loved ones now, thereby reducing the estate tax when you pass on. Frequently, taxpayers think that gifts of cash, securities, or other assets they give to other individuals are tax-deductible; in turn, the gift recipient sometimes thinks income tax must be paid on the gift received. Nothing can be further from the truth. To fully understand the ramifications of gifting, one needs to realize that gift tax laws are interrelated with estate tax laws, and Uncle Sam does not want you giving away your wealth before you pass away to avoid the estate tax. For 2017, Uncle Sam allows $5.49 million (lifetime estate tax exclusion) to pass to your heirs’ estate tax free, and any excess amount is subject to an estate tax as high as 40%. Amounts you gift prior to your death reduce the lifetime estate tax exclusion and will therefore subject more of your estate to taxation. $14,000 each to any number of individuals during every tax year. The amount is periodically adjusted for inflation, but the amount for 2017 is $14,000. The recipient does not have to be a relative and can be a minor. Directly pay medical expenses. This applies to amounts paid by one individual on behalf of another individual directly to a medical care provider as payment for that medical care. Payments for medical insurance qualify for this exclusion. Directly pay education expenses. This applies to amounts paid by one individual on behalf of another individual directly to a qualifying educational organization as tuition for that other individual. The tuition can be for any level of schooling – elementary, secondary and post-secondary. Costs of room and board aren’t eligible as direct payments, nor are contributions to qualified tuition programs (also known as Sec. 529 plans), which have their own gifting rules not covered in this article. If the gift giver is married and both spouses agree, gifts to recipients made during a calendar year can be treated as split between the husband and wife, even if only one of them made the cash or property gift. Thus, by using this technique, a married couple can give $28,000 a year to each recipient under the annual limitation discussed previously. High-Wealth Individuals – If you are a high-wealth individual who would like to pass on as much to your heirs as possible while living without reducing the lifetime exemption, you could directly pay your heirs’ medical expenses and education expenses in addition to annual gifts of cash or property of up to $14,000. You may want to do this, even if you are not a high-worth individual, to avoid having to file a gift tax return. Medical Expenses – Except in rare circumstances, you cannot deduct the medical expenses you pay for another person, and they cannot deduct the expenses either, since they did not pay the expenses. Thus, careful consideration should be given regarding whether you make the gift directly to the individual, subject to the $14,000 annual limit – which would allow the recipient of your generosity to pay the medical expenses and claim the medical deduction on his or her tax return – or whether you pay the medical expenses directly. If the medical expenses you want to pay are greater than $14,000, then you could always gift $14,000 to the individual and pay the balance directly to the care provider(s) to avoid reducing your lifetime exclusion. Under rare circumstances, the recipient who will benefit from your gifts may qualify as your medical dependent, under which circumstance you would be able to deduct the medical expenses if they had been paid directly to the doctor, hospital or other provider. Education Expenses – When you pay the qualified post-secondary education tuition for another individual, it does not mean – as is usually the case for medical expenses – that someone cannot benefit taxwise. Tax law says that whoever claims the exemption for the student is entitled to the American Opportunity Credit or Lifetime Learning Credit for higher education expenses if they otherwise qualify. Gifts of Appreciated Property – Consider replacing your cash gifts with gifts of appreciated property, such as stock for which you have a “paper gain.” When you gift an appreciated asset, the potential gain on the asset transfers to the recipient. This works for individuals, except for children who are subject to the kiddie tax, which requires the child’s income to be taxed at the parent’s tax rate if it is higher than the child’s rate. It also works great for contributions to charitable organizations. Although not subject to the gift tax rules, not only does an appreciated asset gifted to a charity get you out of reporting any gain from the appreciation, but you also get a charitable tax deduction equal to the fair market value (FMV) of the asset. The deduction for these gifts is generally limited to 30% of your adjusted gross income (AGI), but the excess carries over for up to five years of future returns. Please call this office if you need assistance with planning your gifting strategies. Hobbies – Hobbies, on the other hand, are not entered into for profit, and the government does not permit a taxpayer to deduct their hobby expenses, in excess of any hobby income, on their tax return. Thus, hobby income is reported directly on their 1040, and any expenses not exceeding the income are deductible as miscellaneous itemized deductions on their Schedule A, assuming the taxpayer is not claiming the standard deduction, in which case they would be reporting income but not deducting the expenses. Is the activity carried out in a businesslike manner? Maintenance of complete and accurate records for the activity is a definite plus for a taxpayer, as is a business plan that formally lays out the taxpayer’s goals and describes how the taxpayer realistically expects to meet those expectations. How much time and effort does the taxpayer spend on the activity? The IRS looks favorably at substantial amounts of time spent on the activity, especially if the activity has no great recreational aspects. Full-time work in another activity is not always a detriment if a taxpayer can show that the activity is regular; time spent by a qualified person hired by the taxpayer can also count in the taxpayer’s favor. Does the taxpayer depend on the activity as a source of income? This test is easiest to meet when a taxpayer has little income or capital from other sources (i.e., the taxpayer could not afford to have this operation fail). Are losses from the activity the result of sources beyond the taxpayer’s control? Losses from unforeseen circumstances like drought, disease, and fire are legitimate reasons for not making a profit. The extent of the losses during the start-up phase of a business also needs to be looked at in the context of the kind of activity involved. Has the taxpayer changed business methods in an attempt to improve profitability? The taxpayer’s efforts to turn the activity into a profit-making venture should be documented. What is the taxpayer’s expertise in the field? Extensive study of this field’s accepted business, economic, and scientific practices by the taxpayer before entering into the activity is a good sign that profit intent exists. What success has the taxpayer had in similar operations? Documentation on how the taxpayer turned a similar operation into a profit-making venture in the past is helpful. What is the possibility of profit? Even though losses might be shown for several years, the taxpayer should try to show that there is realistic hope of a good profit. Will there be a possibility of profit from asset appreciation? Although profit may not be derived from an activity’s current operations, asset appreciation could mean that the activity will realize a large profit when the assets are disposed of in the future. However, the appreciation argument may mean nothing without the taxpayer’s positive action to make the activity profitable in the present. There is a presumption that a taxpayer has a profit motive if an activity shows a profit for any three or more years within a period of five consecutive years. However, the period is two out of seven consecutive years if the activity involves breeding, training, showing, or racing horses. All of this may seem pretty complicated, so please call this office if you have any questions or need additional details for your particular circumstances. Even if you’ve been using QuickBooks Online for a long time, it’s good to step back and evaluate your actions. “Best practices” aren’t enforceable rules. They’re simply guidelines businesses commonly follow in one area or another. If you’re in retail, for example, one best practice might be to always ask customers checking out if they found everything they were looking for. This serves two purposes: It conveys a feeling of concern for the customer’s shopping experience, and it may also lead to increased sales. They keep your company data safe and clean. They provide insight on your financial status. They can lead you to better relationships with customers and vendors. Are any or all the following common practices for your business? 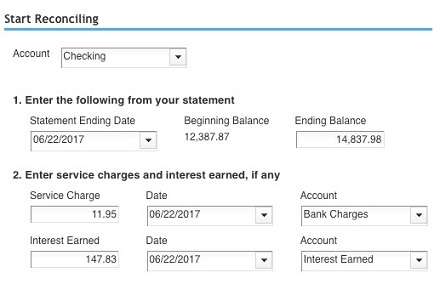 One of QuickBooks Online’s most useful features is its ability to connect to your financial institution’s websites and download cleared transactions. QuickBooks Online also offers tools to help you keep your accounts reconciled online, like you used to do every month when your paper statement came. Reconciling accounts can help you uncover errors. It gives you a truer picture of your cash flow, and it improves the accuracy and timeliness of some reports. It’s not a particularly pleasant process, but you should be reconciling your accounts regularly in QuickBooks Online. We can help. Some lists in QuickBooks Online aren’t overly lengthy. You don’t have to worry about, for example, Payment Methods, Terms, or Classes. Your lists of customers and vendors, products and services, on the other hand, can grow unwieldy over the years. This means it can take more time than it should to scroll through lists when you’re using those entities in transactions. It also puts unnecessary stress on your company file. If you can’t delete any, at least make them inactive. Never leave QuickBooks Online open when you leave your work area. This goes for everyone, even people who work alone and don’t access their company files away from their work areas. The obvious reason is to keep someone else from getting in and authorizing payments, for example, or otherwise compromising your financial information. It also protects the integrity of your data file in case your internet connection suffers some kind of outage. Keep track of 1099 vendors. Whether your company uses 10 vendors or a hundred or more, you may have to supply at least some of them with an IRS Form 1099 at about the same time you’re preparing W-2s for employees. Your 1099-related tasks will be much easier if those individuals and/or companies are earmarked. If you think vendors might need 1099s when you create their records in QuickBooks Online, click in the box to the left of Track payments for 1099 in the lower right corner. Not sure? Ask us. Every time you have to create a record or transaction where categories are involved (i.e., Classes, Customers and Vendors, Territories), check and double-check that you’ve assigned them the correct classification. Errors here can result not only in problems with daily workflow, but your reports will not be accurate. A related best practice: Create a meaningful group of Classes, and use them faithfully. They’ll help you make better business decisions. 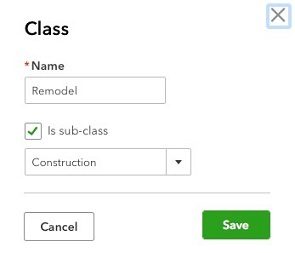 To create your list of Classes, click the gear icon in the upper right and select All Lists | Classes | New. View reports on a regular basis. There are some advanced financial reports in QuickBooks Online that we should be creating for you on a regular basis, either monthly or quarterly. These include Profit and Loss, Balance Sheet, and Statement of Cash Flows. The mechanics of creating them aren’t difficult, but analyzing them is. You should be running reports on your own at frequencies that you think would be helpful, like A/R Aging Detail, Unpaid Bills, and Sales by Class Detail. If you’ve been using QuickBooks Online for a while, you could probably come up with your own list of best practices. If you’re new to the site, consider scheduling some time with us to go over more of them. Develop good habits from the start, and there won’t be nearly as much need for troubleshooting down the road. One major difference between being an employee and being self-employed is how you deduct the expenses you incur related to your work. A self-employed individual is able to deduct expenses on his or her business schedule, while an employee is generally limited to deducting them as itemized deductions. That means self-employed individuals benefit by deducting their expenses directly on their business schedule, which can then result in a reportable business loss if the expenses exceed their business income. On the other hand, an employee can only deduct employee business expenses on an IRS Form 2106, and the total from the 2106 is deducted as a miscellaneous itemized deduction. Thus, in order to claim employee business expenses, the employee is forced to itemize their deductions and cannot utilize the standard deduction. In addition, the employee’s business expenses fall into a category that is reduced by 2% of the employee’s adjusted gross income (AGI), which means that if the employee’s AGI for the year is $100,000, for example, only job-related expenses—combined with other miscellaneous expenses in that category—in excess of $2,000 (2% of $100,000) would be deductible. On top of that, miscellaneous itemized deductions are not deductible at all under the alternative minimum tax (AMT). Thus, if an individual is subject to the AMT, he or she may gain little or no tax benefit from employee business expenses. Employee business expenses are unreimbursed expenses that are both ordinary (common and accepted in your industry) and necessary (appropriate and helpful in business) and do not include personal expenses. Although not all-inclusive, examples of allowed expenses include the costs of tools, job-related education, job-seeking expenses, business travel away from home, and business use of a car and home. If you have questions related to employee business expenses and strategies to deduct them, such as bunching deductions, taking advantage of fast write-off provisions of the tax law, or working out a tax-favored reimbursement plan with your employer, please give us a call. It seems like you can’t watch TV these days without being exposed to home solar ads touting free electricity and big tax credits. Be careful, as these savings and tax credits may not be all that they are advertised to be; this depends upon your financial and tax circumstances. Home solar is not necessarily the best option for everyone. Before you take the leap, please take a moment to consider the tax and financial aspects of solar electric systems as they apply to your circumstances. Once you’ve done so, you can make an educated decision. Do You Really Need It? – Although nearly everyone wants to help the environment by reducing the use of fossil fuels, not every household uses enough electricity to warrant the expense of installing solar. Thus, the first step in your analysis should be to look at your annual electricity costs to see how long it will take for the projected savings to pay off the system. Be sure to also consider how many years you plan to stay in your present home, as if you expect to move soon, you likely won’t recover your costs before selling the home. System Cost – If you decide to install solar, shop around and do your research to find reliable contractors with good reputations. Get multiple quotes and compare them not only for cost, but also in terms of warranties, features, and kilowatt output. Financing – This is one of the key issues that you need to carefully consider in making your decision. Systems typically cost $20,000 or more, and this depends on the home’s size and electricity needs. If you plan on financing the system, you need to be very conscious of loan interest rates, which can substantially impact the overall cost. CAUTION: Some municipalities have set up programs through which the loan for the purchase of a solar electric system is added as a lien on the home; the payments are then made along with property tax payments. Unfortunately, the interest rates for these programs are generally substantially higher than the rates for other sources. All too frequently, the borrowers are led to believe that the payments are deductible as property taxes, but, in fact, only the interest portion of the payments are deductible as home mortgage interest. Solar Tax Credit – As an incentive to persuade homeowners to install solar electric systems in their homes, the federal government offers a tax credit equal to 30% of the cost of solar installation (if for a primary or secondary home). However, the credit is nonrefundable, which means that it can only be used to offset tax liability; any amount of credit that is not used in the current year carries forward, however. Depending upon your circumstances, you may not even derive a meaningful benefit from the credit. Line 47 on the 1040 tax form represents your tax liability for the year, and the solar tax credit can only be used to offset that amount. In addition, the solar credit is being phased out; the credit on new installations drops to 26% in 2019 and 22% in 2021, the last year of the credit. Another issue is that the credit is not allowed if you lease a solar electric system instead of purchasing it. Interest Deduction – Because the addition of a solar electric system would be treated as a home improvement, if your loan to finance a system is secured by your home, the interest is deductible as home mortgage acquisition interest – provided that you itemize your deductions and that the sum of all your primary and secondary home acquisition debt does not exceed $1 million. The final issue is whether you can actually afford the solar electric system. Is it worth having one after taking into account the system’s cost, the financing interest, the reduced electricity costs, and the tax credit? We can assist you in conducting an objective analysis without pressure from a salesperson. Please call us before committing to purchase a solar electric system. https://tarlow.com/wp-content/uploads/2016/05/logo.png 0 0 Joanna Castle https://tarlow.com/wp-content/uploads/2016/05/logo.png Joanna Castle2017-08-01 12:18:072017-08-02 12:44:24Is Solar Energy Right for You? Using Online Services Such as Airbnb to Rent out Your Home? Better Read This! Renting out your home or second home for short periods of time is becoming increasingly popular with the advent of online services that match property owners with prospective renters. The online sites providing these services include Airbnb, VRBO, and HomeAway. There are special (and often complex) taxation rules associated with renting out your home or second home for short periods of time. In some cases, these rules allow the rental income you receive to be tax-free. In other situations, the rental income and expenses may have to be treated as business income and reported on a Schedule C, as opposed to a rental activity reported on Schedule E.
The following is a synopsis of the rules governing short-term rentals. Rented for Fewer than 15 Days during the Year – When you rent out your home for fewer than 15 days total during the tax year, the rental income is not reportable, and the expenses associated with that rental are not deductible. However, interest and property taxes need not be prorated, and the full amounts of the qualified mortgage interest and property taxes you pay are reported as itemized deductions (as usual) on your Schedule A, if you itemize your deductions. The owner (or someone on the owner’s behalf) provides extraordinary personal services without regard to the property’s average period of customer use. If the activity is not treated as a rental, then it will be treated as a trade or business, and the income and expenses, including prorated interest and taxes, will be reported on Schedule C. IRS Publication 527 states: “If you provide substantial services that are primarily for your tenant’s convenience, such as regular cleaning, changing linen, or maid service, you report your rental income and expenses on Schedule C.” Substantial services do not include the furnishing of heat and light, the cleaning of public areas, the collecting of trash, and such. Exception to the 30-Day Rule – If the personal services provided are similar to those that are generally provided in connection with long-term rentals of high-grade commercial or residential real property (such as public area cleaning and trash collection), and if the rental also includes maid and linen services that cost less than 10% of the rental fee, then the personal services are neither significant nor extraordinary for the purposes of the 30-day rule. Profits and Losses on Schedule C – Profit from a rental activity is not subject to self-employment tax, but a profitable rental activity that is reported as a business on Schedule C is subject to this tax. A loss from this type of activity is still treated as a passive-activity loss unless you meet the “material participation” test, generally by providing 500 or more hours of personal services during the year or qualifying as a real estate professional. Losses from passive activities are only deductible up to the income amount from other passive activities, but unused losses can be carried forward to future years. A special allowance for real-estate rental activities with active participation permits a loss against nonpassive income of up to $25,000, which phases out when modified adjusted gross income is between $100K and $150K. However, this allowance does NOT apply when the activity is reported on Schedule C.
These rules can be complicated; please call us to determine how they apply to your particular circumstances and what actions you can take to minimize your tax liability and maximize your tax benefits from your rental activities. https://tarlow.com/wp-content/uploads/2016/05/logo.png 0 0 Joanna Castle https://tarlow.com/wp-content/uploads/2016/05/logo.png Joanna Castle2017-08-01 12:12:462017-08-02 12:43:20Using Online Services Such as Airbnb to Rent out Your Home? Better Read This!